During our Winter 2017 Orphan Hosting Program, one family said “yes” to hosting a chaperone from Latvia. It was a wonderful experience that they’ll never forget. “Hosting Anda was one of the biggest blessings to our family! Anda is an art teacher in Latvia that brought a group of orphans here in December 2017. When we got an email asking if we would host her our initial reaction was ‘YES’… why not?! Saying ‘Yes’ when opportunities present themselves is the most fulfilling way to live. Over the month Anda was with us we were able to make so many wonderful memories. We took her ice skating, celebrated birthdays, celebrated Christmas, had a big New Year’s party, attended church, volunteered at church, went caroling, made Christmas cookies. She was able to experience American living for the month of December! She also taught us how to knit, make traditional Latvian food, desserts, crafts and decorations. Are you ready to be a chaperone host family? Apply today! 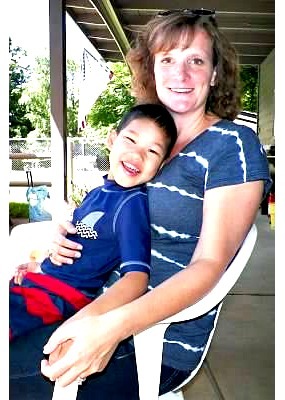 Josiah is a 10 year old boy with a heart condition that needs medical attention. The first time I saw Josiah I was watching a video that our hosting interview team had taken of him dancing to music with the biggest smile on his face. This is the second hosting program of ours that Josiah has participated in, as he came to America a year and a half ago for our Winter Hosting program, and we’re absolutely determined to find this incredible boy a Forever Family. 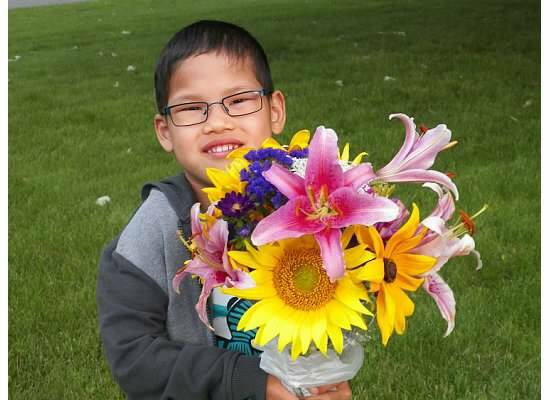 In fact, the JOY family that spent time with him in April is so confident that Josiah’s Forever Family is out there, that they have provided him with a $1,000 grant towards his adoption fees! Below is a blog post that was written by Josiah’s JOY family. Zhao Tong came to America in 2014 for GWCA’s Holiday Hosting Program. During the four weeks that Zhao was here, his host family grew to love him very much, and they began working on the paperwork to bring him here forever! Now, less than one year later, they are getting ready to complete the final steps of the adoption as they travel to bring him home. Read their story about deciding to host this amazing kiddo, and how it has changed their lives forever! One morning in July I was brushing my teeth and I stopped. I just recalled the dream I had that night, very vividly! Jeff and I were in China (not so unusual since we’ve talked to Jamie & Jayden about going back to visit some day). As I was walking down a street a young boy called out to me. “HELP ME”. I walked over to the sidewalk where he was sitting and I knelt down to talk to him. He pulled his hidden deformed arm out of his coat, looked me in the eyes, reached for me with his arm and repeated “HELP ME”. That’s all I remember of the dream. I kept this dream to myself for several days, not knowing how to bring this up to Jeff. Finally on our way up to Okoboji one day I told Jeff about my dream. I asked him do you think God is telling us to adopt again. He responded maybe, but maybe we should do mission work or it was my over active mind wishing to adopt again. Several weeks later I was abruptly awakened from a deep sleep to sitting straight up in bed to someone calling out “Mom”. Jamie & Jayden always call me Mommy and they come running in to our bedroom if they want me. Troubled, I got up and checked on them and they were sound asleep. In the morning I told Jeff about the voice I heard. No comment from him. I told Jeff I really think God wants us to do this. He responded well God needs to show me too. About this same time Justine and Jenna our older daughters started asking us when we were going to go back to China and adopt another child. I shared my dreams with them. They were convinced it was what God wanted us to do. So they started asking Jamie & Jayden if they would like another brother. Jamie and Jayden said definitely “NO”. Jayden listed reasons why not; 1. There is no room for him to sleep at our house. 2. He would break their toys. 3. He would fight them. 4. They already had a brother, Jerus. No new brother was coming to our house. In December Jeff shared with me a dream he had. In his dream, he was out to eat with some people for work. Someone asked him how many children do you have? Jeff answered 5. Then a little boy sitting next to him grabbed his sleeve and said “What about me, Daddy?” Jeff was beginning to believe God wanted us to adopt but brought up Jamie & Jayden’s reluctance to having another brother. Jamie & Jayden were still always answering NO to talk of a new brother. In January as we sat down to eat Jayden says out of the blue, so if we did get another brother where would he sleep? How old would he be? What kinds of things could he do? As I answered each of his questions he and Jamie would look at each other and then he says what do you think Jamie, let’s get a new brother. Jamie agrees with Jayden and then looks at me and says “Wow what made us CHANGE OUR HEARTS.” God finally got our entire family on the same page. 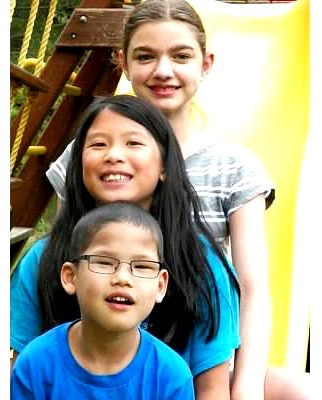 In the summer of 2014 we learned about Great Wall China Adoption’s (the adoption agency we had used for Jamie and Jayden) winter hosting program. This is where a family has a child from an orphanage come and live with them for four to six weeks. The time period for hosting was mid-December to mid-January. 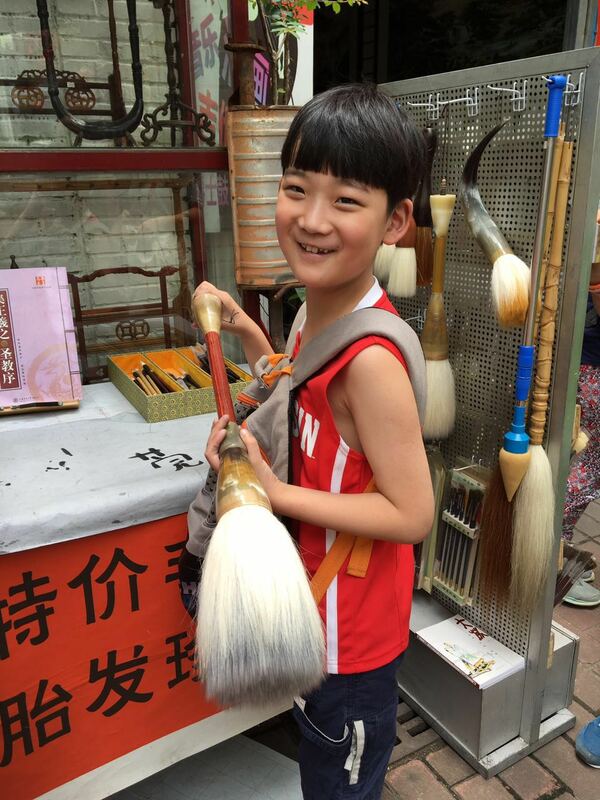 So in September of 2014 we set off on a journey to host a boy from China. 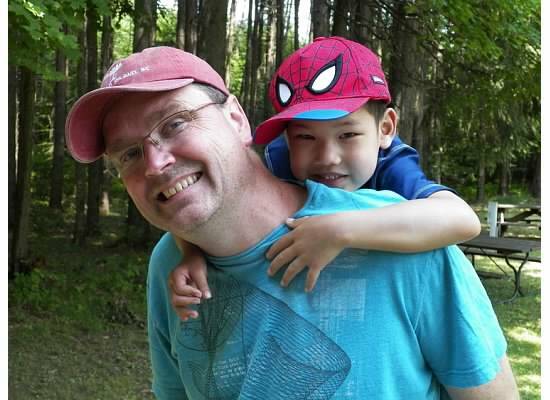 Orphan Hosting is a life-changing experience for both host families and the host children. 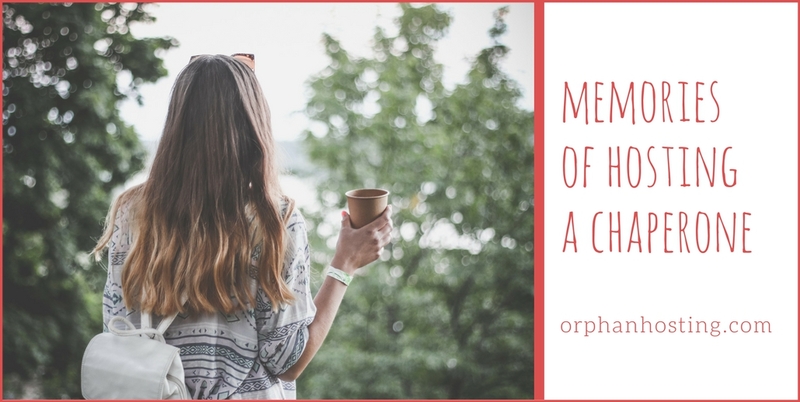 Hosting an orphan involves inviting them into your home as part of your family for 4-5 weeks during the summer or winter holidays so they can experience the love of a family, and life outside their orphanage. Ultimately, the goal of hosting an orphan is to find them a forever family. The hosting family can end up adopting the child or the hosting family advocates for the child to be adopted. We applied for the hosting program in September 2014. The application process was pretty simple it included a background check, home safety check and answering a series of questions. Once you are approved you wait for the big day when the children are available to choose from. On the selection day you review 50 to 60 children of ages between 6 to 12 years of age with varying medical needs. Some children have no medical needs. You get a brief description of the child along with a photo. If you see a child you are interested in you can call and get more information. We were looking for a boy who was 6 or 7 years old. Several boys fit this category. One of kids drew us to him. We called GWCA and received additional information and made our decision. 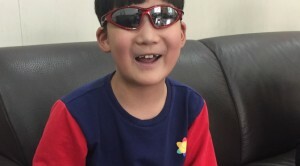 We are going to host Zhao Tong a 7 year old from the Dongguan Orphanage in Guangdong Province in southern China in December 2014 and January 2015. On Friday, December 12, 2014 we flew to Chicago and spent the night in a hotel connected to O’Hare airport. We needed to be ready to meet Zhou Tong at 6:00 AM along with a number of other children that were arriving from China to be hosted. As we impatiently waited for the children to arrive we saw coming down the hallway a cute boy that was having difficulty moving. Sure enough this was Tong. In addition he was almost numb in response to the chaperone. Nowhere in Tong’s profile did it mention that he had any disabilities. We looked at each other unsure what we were getting into. We had a quick conversation with the chaperone who was just traveling through Chicago to another city with some of the children. We had not checked out of our hotel room, as our flight to Omaha was five hours away so we headed back to our hotel room with Tong in tow. When we arrived at the hotel, the Tong disabilities issues started to unveil themselves. First off, Tong was wearing a winter coat that was zipped up to his neck. Under the coat he had on two sweaters, a long sleeve t-shirt and two short sleeve t shirts. As we peeled off the layers and we got closer to getting down to one layer we found that he was soaking wet with sweat. He also had on insulated jeans, long underwear and regular underwear. We quickly realized Tongs difficulty moving was directly related to the suitcase worth of clothes he was wearing. We told the orphange that it was going to be cold and snowy in Omaha, I guess they believed us. We put some dry clothes on him and put him in bed for a two hour nap before we headed back to Omaha. We woke Tong up and headed to the airplane, we even caught him skipping along. It was obvious the clothes were the issue and we let out a huge sigh of relief. Tong came with a variety of stuff from China. Besides the suitcase of clothes he was carrying on his back he had two pairs of snow paints, an extra winter coat and a huge bag of snacks in his backpack. There is one thing about Tong that became pretty obvious right away, he loves to eat. He quickly learned about when dinner time was and he was always promptly sitting in his seat at the dinner table waiting for the food to be served. We can’t really describe him as overly chunky, the best description came from our niece Kaesha Koch. She described him as “a big marshmallow you just love to squeeze”. Tong quickly learned some key words in English, “NO” was very easy for him and he used it frequently. He also jumped on the diet coke bandwagon with “cola”. He had “cookie” down in less than a day and he loved to add his finality to our dinner prayer with the loudest “Amen” we have ever heard. We think he might have translated this to mean “let’s eat”. 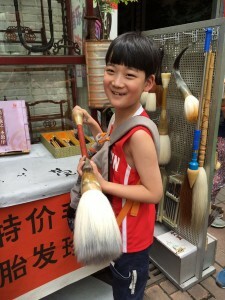 He quickly taught us his favorite phrase “wan wanju” translated “play with toys”. One of our biggest surprises came when we gave him a piece of paper and a pencil. He promptly returned the paper with the English letters A to Z written in proper sequence 15 times. We learned he has an infatuation with the English alphabet, his favorite letter is “L”. We found a DVD about the alphabet and when the DVD came to the letter “L” he would get all excited. We had an electronic game that was shaped like an apple that has all 26 letters as keys. While our other kids played on their iPads he had his own apple type electronic game. One of the first days in Omaha we gave him a coloring book and some colors. He colored the page then wrote “Conrad” at the top of the page. This became common place every time he did something with a pencil, colors or markers he wrote “Conrad” on each page. In fact one day he wrote “Conrad” 25 to 30 times on a piece of paper then repeated this on four more sheets of paper. What was he trying to tell us? At first we were a little concerned that Conrad was some subtle message he was trying to send us like “redrum” from the little boy in “The Shining” . We tried writing it backwards but it didn’t make sense ”darnoc”. After some additional investigation we found a Christmas card in his backpack that was for our family signed Conrad. We then talked to his chaperone and learned that in some orphanages they give the Children an English names to practice when they are writing in English, I guess he was just showing off. Tong was with us from December 13, 2014 through January 12, 2015. When we picked him up in Chicago he didn’t really know any English spoken language. We relied on pointing and a couple of iPhone apps to interpret for us and him. There where so many wonderful experiences we had with him. We observed a shy compliant little boy who did everything we directed him to evolve into this wonderful child who has a stubborn streak and a smile that will melt your heart. 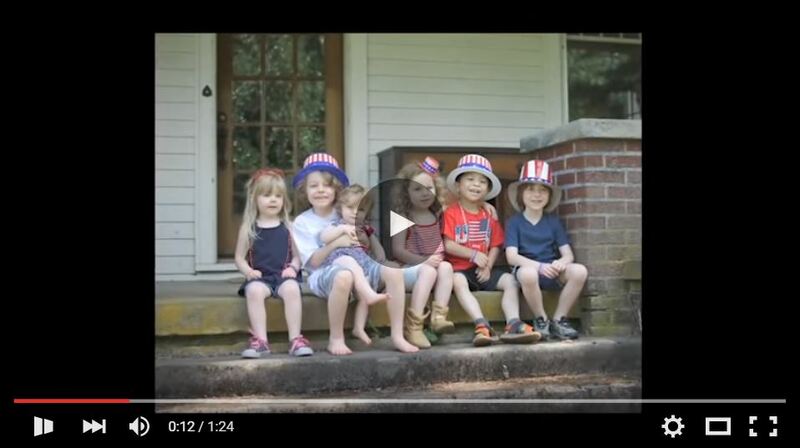 The hosted children are not told that they are coming over to America to be adopted. They are told they are coming to the US for a vacation and to learn English. We decided we wanted to make sure Tong had the full experience while he was here. We set out on a plan to do as many Omaha fun things as we could fit in. We went to the Omaha Zoo where Tong became infatuated with the penguins. He did not want to leave their exhibit, he could have stood there all day watching them. We think he enjoyed the rest of the animals but nowhere near his love for the penguins. We took him swimming at Lifetime Fitness where they have a zero depth pool. Jeff carried him out to the deeper water and Tong immediately put the death grip on Jeff and wanted nothing to do with being in the water if he could not touch with his feet. After about 30 minutes sitting in a chair he finally got enough courage to go back in the zero depth section. This is something we will have to work on with him to fit into this water loving family. We took him ice skating out at Mahoney State Park which was ok except for the fact he wanted nothing to do with wearing ice skates or being on the ice. Luckily there is huge indoor playground which he loved and spent hours climbing, sliding etc. We went to Okoboji /Minnesota for the Christmas holidays. We stayed at our condo in Okoboji and went to Big Twin Lake (Trimont MN – Janell’s family) and Amber Lake (Fairmont MN – Jeff’s Family) When we picked Tong up in Chicago we had already decorated our Christmas trees in Omaha so we put up and decorated a Christmas tree in Okoboji with Tong. He had his own special way of decorating which included putting all the ornaments on one branch. Our whole family had a great time with him. Justine got to spend a long week with him and Jenna was at home almost the entire time. We started the hosting program thinking we might want to adopt another child. We spent a lot of time talking about the possibility of getting another child and sibling for our five kids. All of our kids were sold on the idea except for Jayden, our 9 year old. He is the youngest and does not want to give up his youngest child position. We thought the hosting program would be a good trial for us and especially for Jayden to see what it would be like, kind of a rent to own program. Things did not start off as well as we would have hoped. There was little interaction between Tong and our youngest two kids especially Jayden. As we approached the third week we started to wonder if this was going to work. Tong was having a great time and we had a great time with him but the relationship between Jamie, Jayden and Tong was not as we had hoped. On that weekend we went to the Omaha Children’s Museum and things just started coming together. We saw our two younger kids interacting with Tong. We then went to the Spaghetti Factory for lunch. Going out to eat with our family can be a disaster, but not this time. Tong did great, Jayden was helpful we started to see how Tong fit into our family. When we got home that afternoon Janell received a note from a friend in the mail. The note included the following bible verse, Religion that God our Father accepts as pure and faultless is this: to look after orphans and widows in their distress and to keep oneself from being polluted by the world James 1:27. Well, our decision was made. As the next week drew to a close we got a little sadder every day, we knew we had to send Tong back to his orphanage in China. The day before Tong was supposed to fly with Janell to Chicago to meet the rest of the hosting group for the return trip, his chaperone called. He told Tong that he was going back to the orphanage. Tong gave the phone to us went upstairs packed his backpack and came down ready to go. We really didn’t know what to think. Tong didn’t really have any emotion as we said goodbye to him as he and Janell headed to the airport. Did he have any feelings about us? They flew to Chicago and met the rest of the Hosting kids that were headed back to China. Janell waited with the group for about an hour and then it was time for her to catch her flight back to Omaha. She went to Tong gave him a hug, said good-bye and started to walk away. He suddenly realized what was happening, he grabbed her and started to cry and yelled “No Mama”, and then she started to cry. One of the volunteers with the group helped pry Janell loose from Tong’s grasp. Janell reluctantly headed to her gate, crying, hearing Tong’s wailing as she walked away. Ok God, if we weren’t sure about our decision before, we were now. Thank you to Yu Yu’s Host Family for allowing us to share their beautiful story.